The viticultural domaine of the Château of Cabidos is family owned and consists of twenty acres located just below the village of Cabidos, in the north of the Béarn, near the famous slopes of Jurançon in south-western France. The family wine business was revived by Isabelle de Nazelle in 1992 and developed by her son Vivien, with his wife Maleine and brother Edouard, together with Jean-Michel Novelle, a Swiss oenologist of international renown. In 2002, an air-conditioned cellar was built to ensure the wine was properly stored and in 2007, Mrs. Méo Sakorn-Sériès became the Maitre de Chai, or Cellar Master, who is the person responsible for making and ageing the wine. 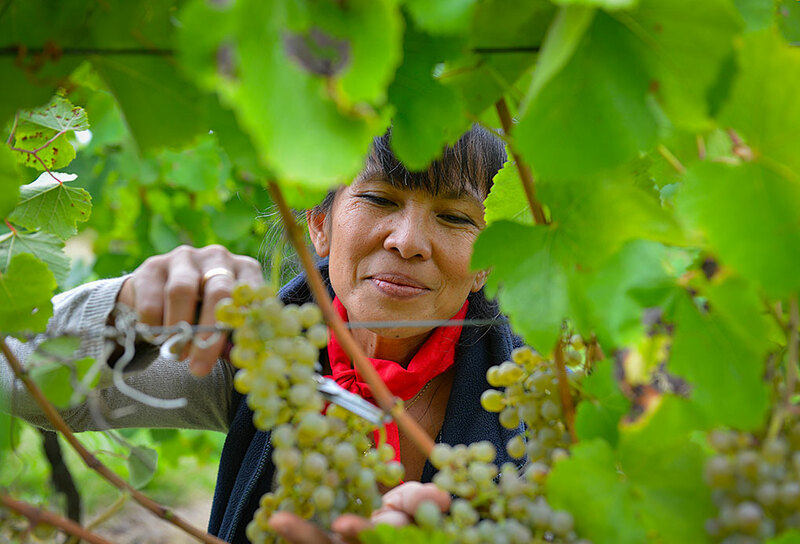 Méo Sakorn-Sériès is unique in being the only Thai woman to be a director of a vineyard and winery in the whole of France. In 2015, new owners acquired Château de Cabidos with the aim of continuing its legacy and traditions and producing more of its exceptionally prized wines. The Petit Manseng grape, which comes from the Pyrenean region of France, is the predominant variety occupying 16 acres of our vineyards, and produces both sweet and dry white wines. The vineyard also has an acre of Chardonnay and two acres of Sauvignon, which work well as a dry blend. The fourth grape is Syrah grown on less than an acre to produce our red wine. It is so popular that we are gradually increasing the acreage. Since replanting the vineyard, the wines from Chateau de Cabidos have become established and show great personality and precision. They are remarkably well- balanced, with wonderful fruit flavors and the top cuvées can rightly be considered as great wines and have been recognized worldwide with a plethora of awards and medals.